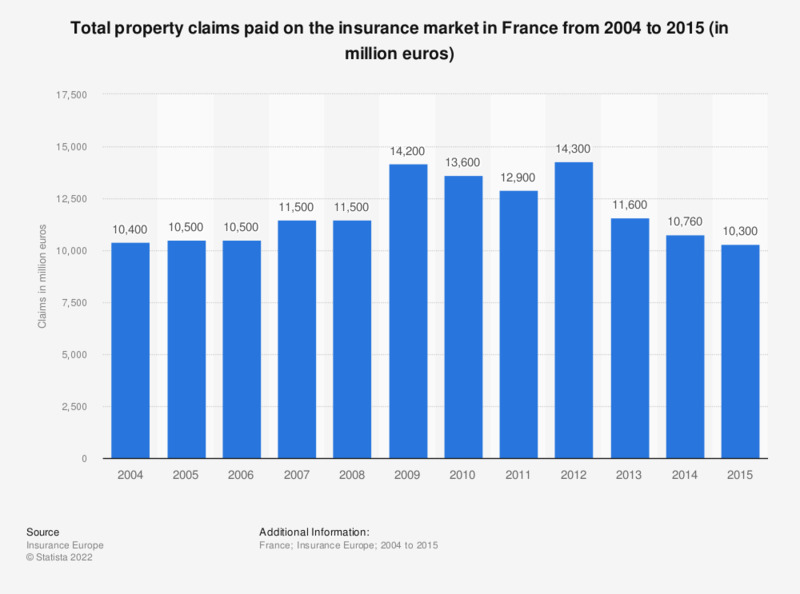 The statistic shows the total value of property claims paid on the insurance market in France from 2004 to 2015. In 2012, the payments reached peak value of 14.3 billion euros. In 2015, the total value of property claims payments had fallen to to approximately 10.3 billion euros.